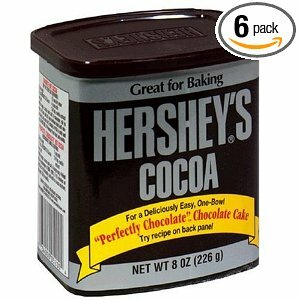 Amazon has Hershey’s Cocoa, Natural Unsweetened, 8-Ounce Cans (Pack of 6) with Subscribe & Save for only $12.75. So you pay about $2.13 per can. Plus, you get FREE Shipping. That is an excellent deal. Especially if you use a lot of Cocoa. Amazon’s regular price is $20.64. It’s on sale today for $15.00 but you save an extra 15% with Subscribe & Save: Sign up to have this item delivered at a regular interval of your choice, and the current price drops to $12.75 ($0.27 / oz) . Shipping is always free. No fees, no risks, no obligations. After you receive your order, you can cancel the Subscribe & Save.